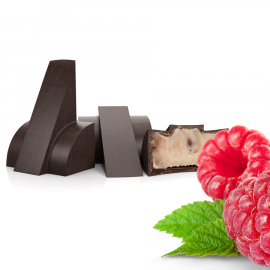 The fruity raspberry flavor boosts the chocolate fondant and enhances the taste of it. 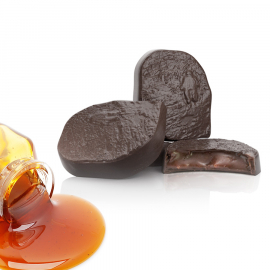 This ganache is naturally a little sweet and fleshy. 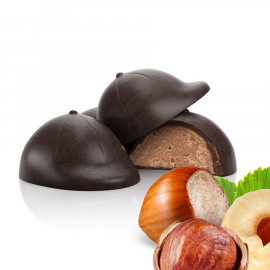 A real delight where the flavours of gianduja melt in the mouth to reveal a fine hazelnut paste mixed with a smooth cream. The secret of praline is its crunch. The hazelnut paste is as crunchy as the chocolate fondant is crispy. This is the biggest praline in the assortment. 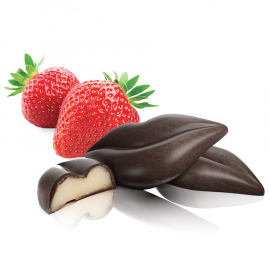 The sweet, fruity tang of the strawberry ganache is offset by a chocolate fondant coating. This is a whole mouthful of flavour to be enjoyed with someone special or just by yourself. The ganache has been infused with red berry tea (made with strawberry, raspberry, red gooseberry, blackberry and cherry) giving it a hint of pink and a sweet fruity flavour which is then coated in chocolate fondant. 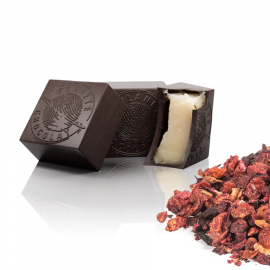 This praline is the perfect accompaniment to your breakfast or tea time snack. 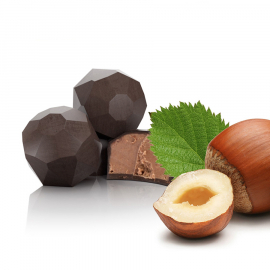 The aroma of hazelnut will invade your senses from the very first bite. 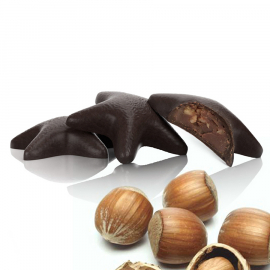 At the same time the nutty flavour delicately joins the chocolate to create a taste sensation. 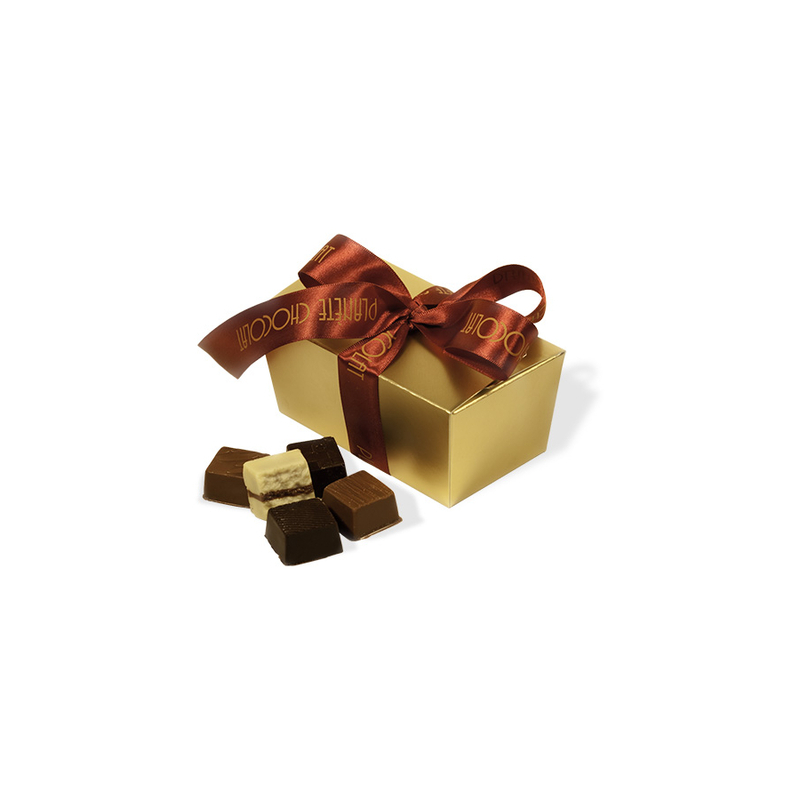 As you bite through the praline, liquid chocolate caramel runs deliciously over the fine chocolate fondant. The Breton origins of Sel de Guérande mingle with butter within this sweet casing. 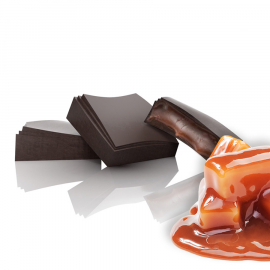 The liquid caramel melts in the mouth to make a very sophisticated sweet.